Yvonne Yan-Yung Kwok has studied traditional Taekwon-do since 2005. In 2006, Instructor Kwok began her teaching career under the guidance of her brother, Master William Kwok and her teacher, Grandmaster Suk-Jun Kim, President of Taekwon-do International. Instructor Kwok is experienced in teaching students of all ages and levels and specializes in teaching children. She is the Head Instructor of the Gotham Martial Arts' children programs. 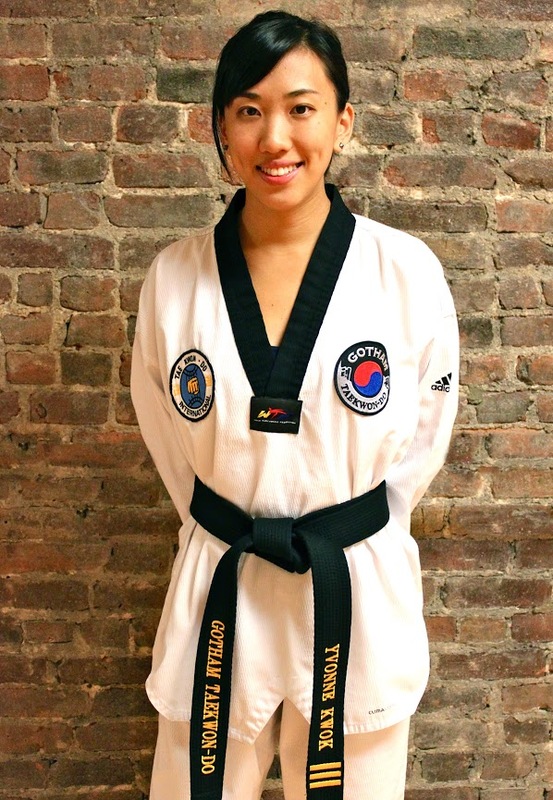 Instructor Kwok has also conducted Taekwon-do programs for children in education institutes such as Brooklyn Montessori School and Avenues: The World School. A Hong Kong native, Instructor Kwok appreciates and respects her cultural upbringing. She often incorporates the values she learned in her youth and East Asian philosophy into her fun yet firm classes. She believes in the beneficial aspects of martial arts training to children's health and growth, both physically and mentally, when taught in an environment that emphasizes traditional values. As a female in the martial arts industry, Instructor Kwok aspires to promote the merits of martial arts training to women. She has developed a simple yet effective Women's Self Defense and Fitness program and aims to empower women and help them build a sense of awareness and confidence regardless of their experience in martial arts. Instructor Kwok also teaches Practical Wing Chun professionally. Beside martial arts, Instructor Kwok is an accomplished visual artist who started her creative life at a very young age. She earned a Bachelor of Fine Arts degree from Hunter College with a concentration in painting. She believes that creative and thinking critically are essential life skills that can be obtained through art. She finds visual art a great counterbalance to her martial arts practice. Besides a wide variety of Western art disciplines, Instructor Kwok is also a very gifted Chinese calligrapher and has been hosted workshops in universities and private institutes. In a multi-cultural city like New York, she has a strong interest in sharing her profound East Asian culture through martial and visual arts. Copyright © 2019 Gotham Martial Arts. All rights reserved.